Of beautiful visits in perspectives! 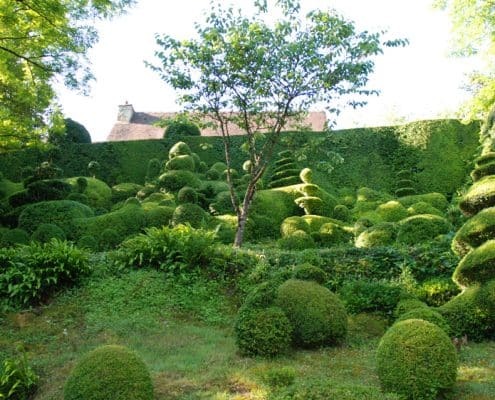 Black Périgord is endowed with a multitude of classified places of interest. 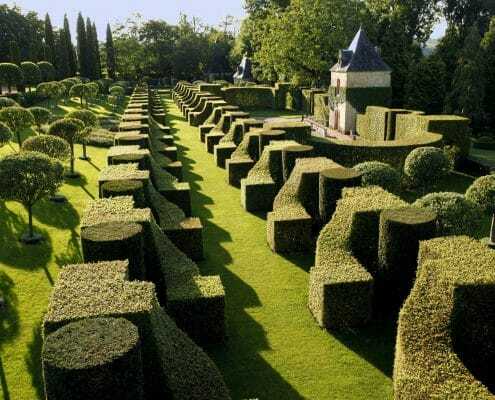 The Dordogne is a region considered as country of the thousand one castles. 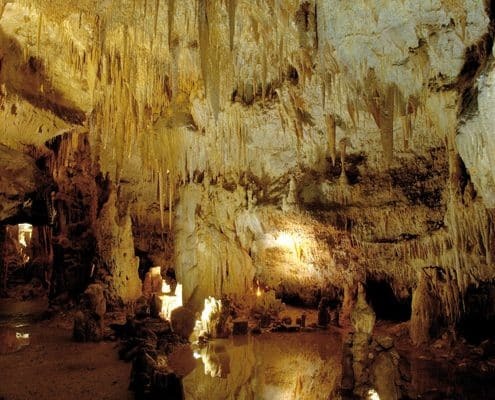 Caves, abysses, abbeys, ancient country-houses and gardens will know how to occupy your days. You will find a unique concentration of the ” more beautiful villages of France there “: saint Léon-sur-vézere, Saint-amand-de-coly, Castelnaud the chapel, Domme, Beynac-et-cazenac, The Roque-Gageac, Belvés, Monpazier and finally Limeuil, situated in the confluence of the Dordogne and the Vézére. 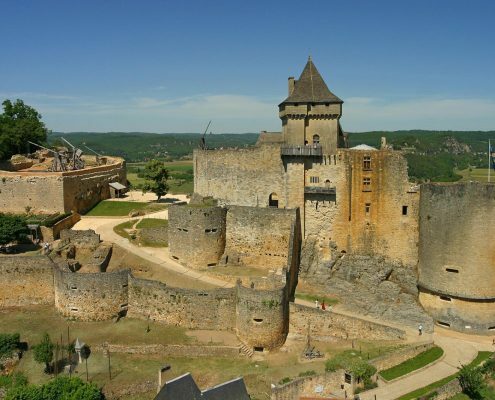 In 4 km of the Campsite – Caravanning 3 stars Beautiful Shade, the castle of Castelnaud dominate the nice valley in the hollow of which winds Céou, between poplars, willows and walnuts, before throwing itself into the Dordogne. 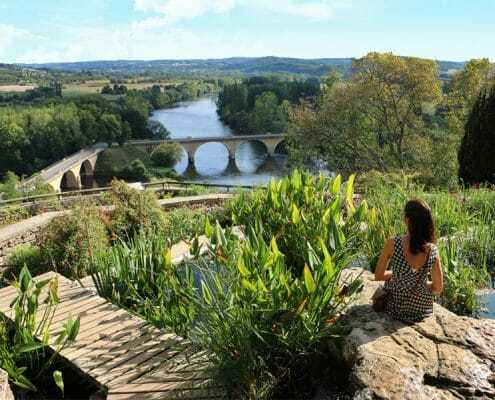 But also, the walks in lighters, the descent in canoe on the Dordogne where bathing and good mood will enclose a day rich in memories. 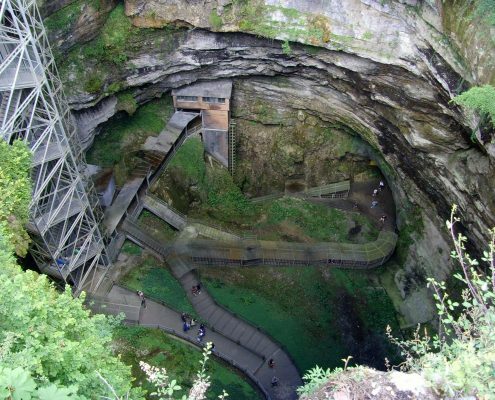 For the sportsmen, the cliffs of escalation which overhang the valley of Céou propose to the climbers of ways equipped for beginners or virtuosos … Recently created, the green way of the valley of Céou will allow you to reunite Castelnaud-la-Chapelle and its famous medieval castle to Bouzic, about fifteen kilometers farther. Bikes can be rented and delivered on the campsite. Numerous routes in canoes are proposed. 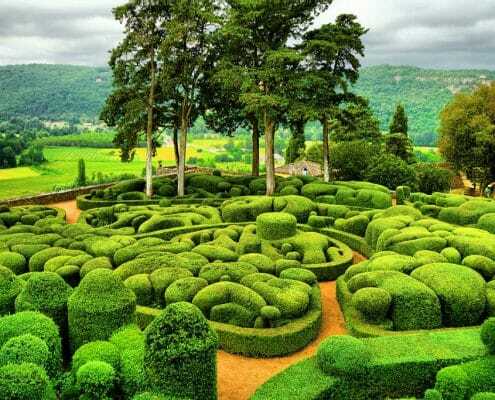 They will make you discover, in a playful way, the natural landscapes of the valley of Céou or Dordogne, offering an original point of view on the numerous castles which decorate his banks. 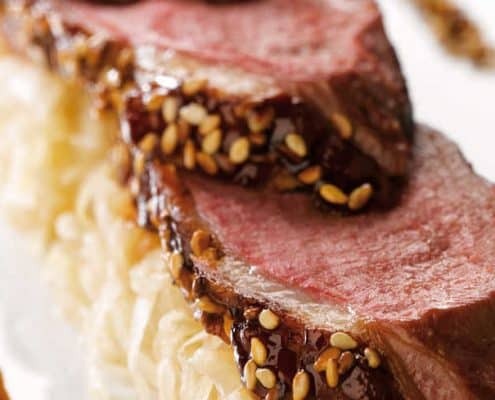 To come to Beautiful Shade, it also is to give the opportunity to taste the dishes of our so beautiful region, The Dordogne is a country renowned for its good table and its gastronomy. The regional products of Périgord, presented on the numerous markets which settle down in our villages will delight the finest palaces. 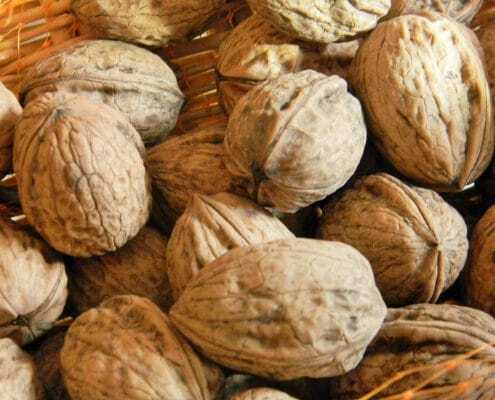 For the delight of papillae, restaurants invite you to taste their specialities: confits and duck breasts, enchauds, omelets in ceps, foies gras, sarladaises potatoes, walnuts cakes. 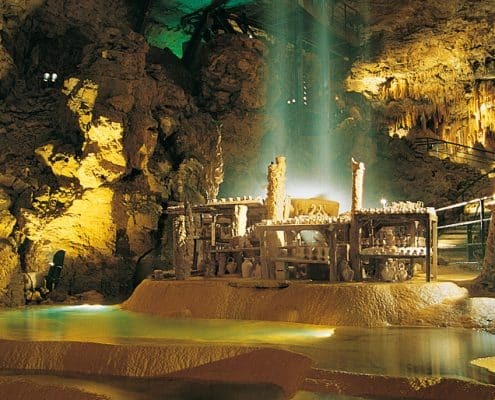 Reserve a rent for Bel Ombrage. 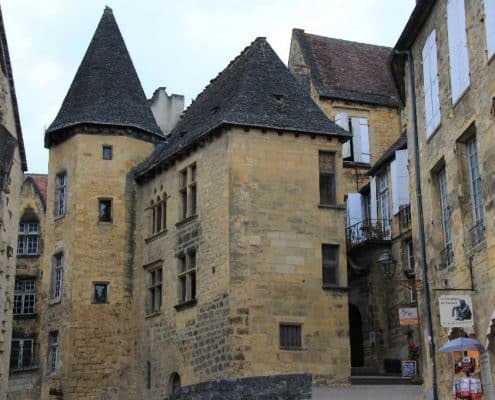 You want to reserve a campsite for Sarlat ? 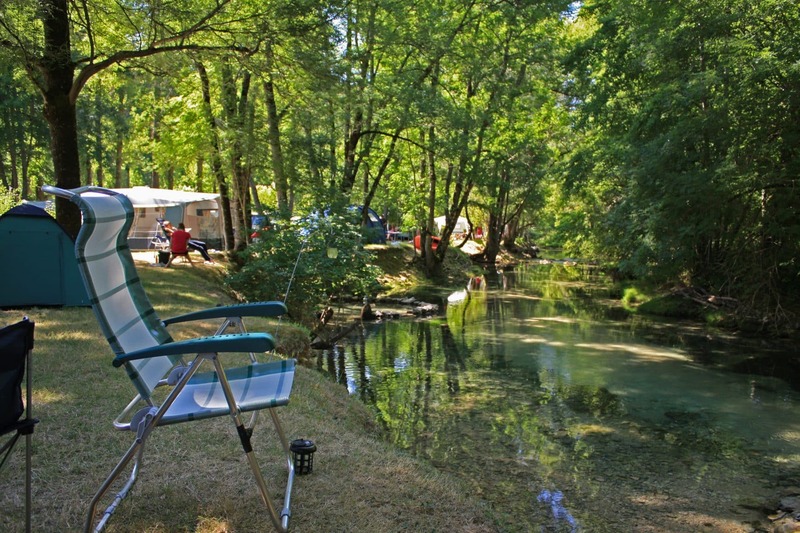 Bel Ombrage, a campsite 3 stars, suggests you spending your holidays, or simply a weekend, in Dordogne. 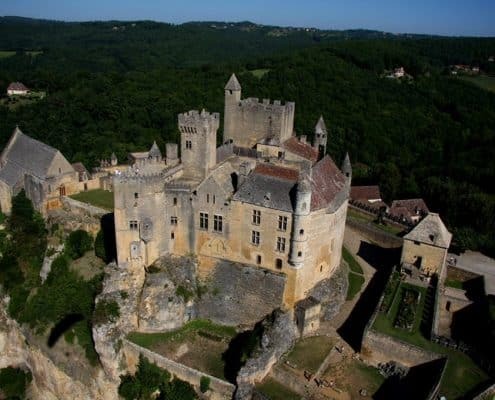 Castles establish one of marvel of Périgord. They are many to be visited. 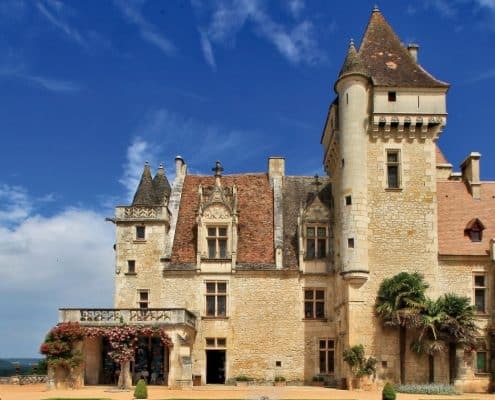 The Castle des Milandes, Of Renaissance style, Joséphine BAKER’s former house you can attend a magnificent show of bird of prey. 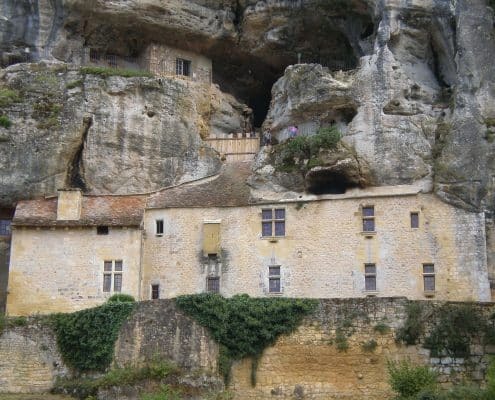 Maison Forte de Reignac, Only castle cliff in France must to be totally intact! 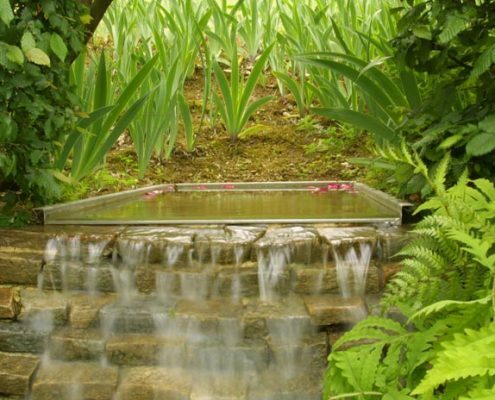 He is richly furnished and a sound system of atmosphere interferes you more in this place so particular. 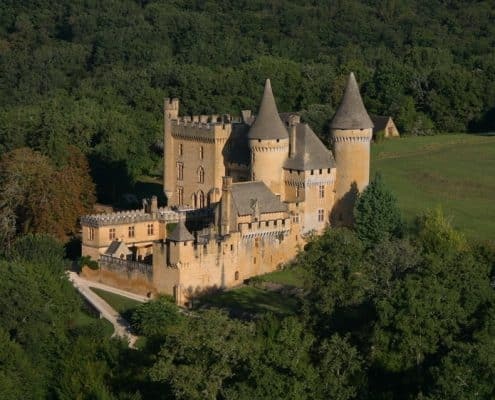 The Castle de Puymartin Situated between Sarlat and Eyzies, built in the XIIth siécle then destroyed during the war of hundred years and reconstructed by 1450 it is at that time that is born the legend of the white lady, immured by a jealous husband! His(her) ghost already showed himself to several people can be will feel you his(her,its) presence by visiting the castle! 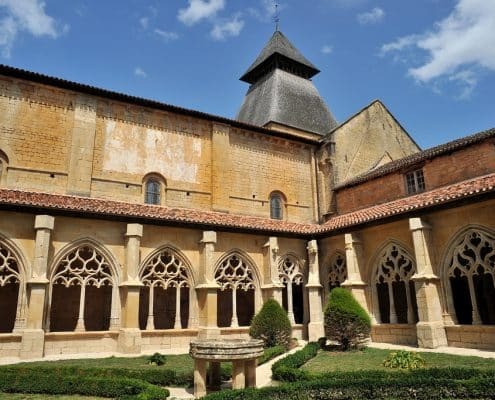 The Abbaye de Cadouin, Old monastery registers on the UNESCO world heritage, buried between the forest of the besséde between the river Dordogne and the Couze. 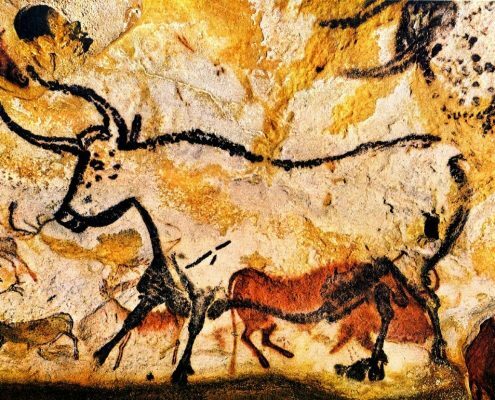 The prehistory marked with its imprint the department of the Dordogne and in particular the valley of Vézére. 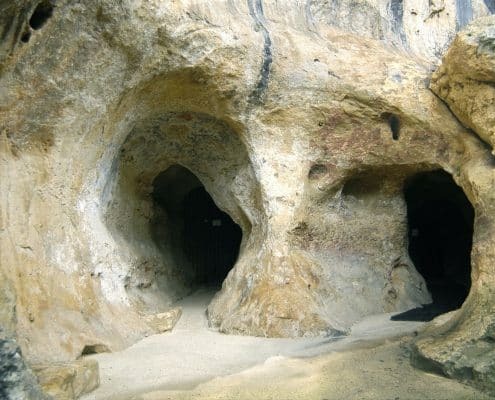 Numerous tracks of past are still present in numerous caves, parks and museums. 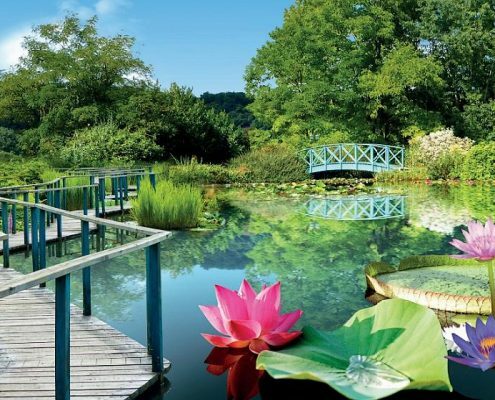 During your stay in our campsite in Dordogne, in cultural title or of leisure activities, you can escape in one of the numerous Gardens and remarkable Parks of Périgord.